UN troops in Haiti fired tear gas at a group of women waiting for food and generally treat the population 'like animals', it was reported this week. Reports IPS: "On an empty road in Cite Militaire, an industrial zone across from the slums of Cite Soleil, a group of women are gathered around a single white sack of U.S. rice. The rice was handed out Monday morning at a food distribution by the Christian relief group World Vision. "According to witnesses, during the distribution U.N. peacekeeping troops sprayed tear gas on the crowd. 'Haitians know that's the way they act with us. They treat us like animals,' said Lourette Elris, as she divided the rice amongst the women. 'They gave us the food, we were on our way home, then the troops threw tear gas at us. We finished receiving the food, we weren't disorderly'. "Some 9,000 U.N. peacekeepers, known by the acronym MINUSTAH, have occupied Haiti since 2004, including 7,000 soldiers of which the majority are Brazilian. The mission has been dogged by accusations of human rights violations." A SUPERB first-hand account of the strengthening Naxalite uprising in India by author Arundhati Roy has been published by The Guardian. The report, which includes a video, is a rare piece of UK publicity for the struggle of the tribal people and guerrillas who have taken up arms against the Indian state. Explaining the background, Roy says: "The Indian constitution, the moral underpinning of Indian democracy, was adopted by parliament in 1950. "It was a tragic day for tribal people. The constitution ratified colonial policy and made the state custodian of tribal homelands. "Overnight, it turned the entire tribal population into squatters on their own land. It denied them their traditional rights to forest produce. It criminalised a whole way of life. In exchange for the right to vote, it snatched away their right to livelihood and dignity. "Having dispossessed them and pushed them into a downward spiral of indigence, in a cruel sleight of hand the government began to use their own penury against them. "Each time it needed to displace a large population – for dams, irrigation projects, mines – it talked of 'bringing tribals into the mainstream' or of giving them 'the fruits of modern development'. "Of the tens of millions of internally displaced people (more than 30 million by big dams alone) – refugees of India's 'progress' – the great majority are tribal people. When the government begins to talk of tribal welfare, it's time to worry. "Over the past five years or so, the governments of Chhattisgarh, Jharkhand, Orissa and West Bengal have signed hundreds of memorandums of understanding – all of them secret – with corporate houses worth several billion dollars, for steel plants, sponge-iron factories, power plants, aluminum refineries, dams and mines. In order for the MOUs to translate into real money, tribal people must be moved. Therefore, this war." 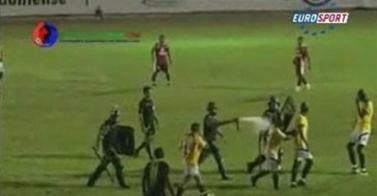 POLICE in Brazil have gone from attacking fans to attacking players - with pepper spray and batons. Video footage on Eurosport clearly shows the cops assaulting, from behind, players who were already leaving the pitch. Says the report: "The game between Rondionese League clubs Genus and Moto Clube descended into farce after Genus player Robson was dismissed in the 64th minute for a foul. "The player refused to leave the pitch and together with several team-mates confronted the referee, leaving the official feeling so intimidated that he called in the police. "Four police in full riot gear charged on to the pitch, and when Robson still refused to go they attacked him and his team-mates with batons and pepper spray. "The match was abandoned as chaos ensued, but Genus's club president has asked to forego the replay since his side were trailing 3-0 at the time of the incident. "The controversy has continued to rumble on, however, and the vice-governor of the Brazilian state of Rondonia has promised a full investigation into the police actions. 'If the policemen overreacted they will be punished,' he said." SOUTH Africa's poor are rising up, just a dozen weeks before the start of the corporate bonanza known as the World Cup Finals. Reports Press TV: "South African police have fired live and buckshot bullets at protesters in northeastern townships amid increased outcry over poor housing and lack of rail services. "Protestors in Ogies Township in the northeastern province of Mpumalanga attacked ten police officers patrolling the area on Tuesday inside an armored personnel carrier. "The officers opened live ammunition on the assailants to prompt them to escape, injuring one. 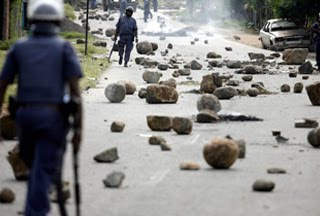 "Meanwhile, hundreds of people in the Phomolong Township, in northeastern province of Gauteng, blocked roads with rocks and burning tires on Tuesday. "Police used rubber bullets as a number of rioters looted shops and began hurling stones. "The latest unrest comes amid reports that frustrated residents seek to persuade the government to supply the region with needed infrastructure. "A protester told Reuters that legal ways to convey their grievances to the government had been ignored with 'a cold shoulder'. "In another incident, four Cape Town bus drivers were injured on Tuesday after their vehicles were stoned by rioters during a one-day minibus taxi strike. "Police say they have the situation under control with forces continuing to monitor the area, as nationwide protests are expected to intensify with the aim of tapping into the media attention ahead of the FIFA World Cup 2010 games in the country, first ever to be hosted by an African nation. "Many poor black South Africans complain that their lives have not improved since Nelson Mandela's African National Congress (ANC) swept to power in 1994, promising to provide jobs, housing and medical care for all." A BRUTAL police raid on a London protest convergence centre was illegal, the force has been forced to admit. But arrogant police chiefs have refused to apologise to those on the receiving end, despite requests by lawyers. Reports Channel 4 News: "The Metropolitan Police are facing a compensation bill of £250,000, after admitting a raid on a climate change group the day after the G20 protests in London last April was illegal. "Police burst into the Convergence Centre in east London carrying taser guns, and handcuffed protesters face down. "The Met Commissioner admitted it was unlawful to arrest, search them, and force them to be recorded on film, but he refused to apologise to the protestors. "This was the day after the big city G20 demonstrations. 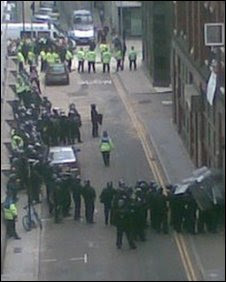 A large convoy and a heavy handed police presence took up positions around a disused office block. "Senior officers claimed intelligence had picked out some of the more violent protestors who overnight had used the building as a squat. "As police burst in, the majority of the 70 demonstrators simply sat down. There was no resistance. "One person was caught behind a door and threatened. Another officer trained a 50,000 volt taser weapon on the group sitting down. They had come prepared for trouble but there was none. "Today the Metropolitan Police Commissioner agreed to pay £3,000 compensation each to two of those demonstrators and admitted the operation was unlawful because there were no reasonable grounds for suspicion. "Stephen Grosz, the claimants' lawyer, told Channel 4 News: 'We did ask for an apology (from the commissioner), we asked first of all for a public apology to be made to all those who had been arrested. That was turned down. We then asked whether we could have a private apology addressed to the two individuals whom the Commissioner recognised had been unlawfully arrested, but no apology was forthcoming." "The Met response was to say admitting liability is enough. "The raid was also armed with photos of suspects from the previous day. Every protestor was filmed by an officer from FIT, or the Forward Intelligence Team, but what forced the Met to concede was that not one of them, contrary to intelligence, matched any of the photos. "The Met's now facing a bill for at least a quarter of a million pounds if all 70 demonstrators lodge compensation claims against this illegal police operation, which was described one of the successful claimants as over the top, unnecessary and disproportionate." GREEK revolutionaries have hit back at a far-right group linked to state repression of the popular uprising. Reported Reuters: "A makeshift bomb damaged the office of a far-right group in central Athens early on Friday but no one was hurt, police said. 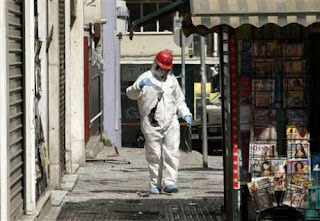 "There has been a series of gas canister and bomb attacks by leftist and anarchist groups in Greece since the fatal police shooting of a teenager sparked the country's worst riots in decades in December 2008. "Police said there was a warning call to a newspaper about a suspect box placed outside the office of ultra nationalist group Golden Dawn." Meawhile, in the UK, suspicions are rising that the far-right English Defence League (EDL), with its pro-war, pro-USA, pro-Israel agenda, is also a state appendage. Police brutally attaked an anti-EDL protest in Bolton on Saturday, with corporate media attempting to cast the anti-fascists in a negative light. PARTS of Mexico are in revolt during widespread angry national strike action. Reports My World Is My Weapon: "The town of Juandho, Hidalgo, has been under siege since yesterday, when members of the Mexican Electrical Workers Union (SME) hung strike banners on their former workplaces as part of the national strike in support of the SME. "The SME reports that the town's electricity went out last night. During the night, hundreds of federal police arrived. There are now between 1,000 and 1,500 federal police surrounding the town. The police presence is overwhelming: Tetepango county, where the Juandho community is located, has about 9,000 residents. "At approximately 3am this morning, federal police began raiding houses in search of SME leaders. SME Central Committee member Gregorio Paredes and his family are in hiding because federal police have burst into several homes looking for him. 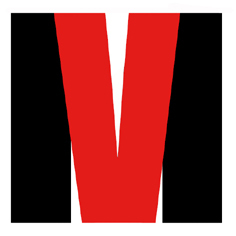 SME members Diego Sánchez Mendoza, Sergio Mendoza Rivera, and Adrian Monroy Mejía have been detained and beaten. The SME reports that dozens of people have been disappeared." Writes Axis of Logic: "SME members and supporters blocked the entrance to the Juandho LyFC complex with piles of dirt. According to El Universal, "This angered the federal police, leading to a confrontation." The police fired tear gas and pepper spray at the crowd, and fired live rounds into the air. El Universal reports that following the repression, approximately three police helicopters and 400 federal police arrived on the scene to drive back protesters. "Following the police repression, floodgates that guard a canal of raw sewage were opened, flooding the LyFC complex and the police inside. At the time of publication, it has not been confirmed how the floodgates opened. However, the flood seems to have incapacitated the police--reports from Juandho indicate that the SME still holds its blockade of the LyFC complex there. "The SME continues to blockade key LyFC buildings, and will do so indefinitely. The workers have organized themselves into shifts that will maintain the picket lines around the clock. As nighttime fell, a "tense calm" fell over the blockades. Police continue to attempt to penetrate the blockades, particularly in Nexaca, Hidalgo, and there is fear that police will attack in the night while the majority of the region is asleep. "Actions in support of the SME reportedly occurred in about 25 states." 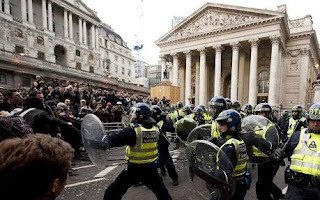 BRITAIN could face massive political and social unrest on a scale similar to Greece, a political party leader has warned. The Guardian reported that Liberal Democrat Nick Clegg was concerned that the next government might not successfully rally the public behind plans to slash public spending and cut the state's £178bn deficit. So far, the UK has only seen symbolic protest against the excesses of neo-liberalism, such as the anti-G20 protests in London last year (pictured), but Clegg, a self-confessed admirer of Margaret Thatcher, apparently has something on a much larger scale in mind. The report says that in a speech to the Institute for Public Policy Research thinktank, Clegg will say a new government could be 'torn to pieces' if it tries to 'ram through' spending cuts without wider public consent. "He will argue that the scale of the cuts needed to tackle the deficit is so great that it will be essential to engage the public in the process. "If the structural deficit in the public finances is to be eliminated without further tax increases, at some point in the next eight years government spending will have to fall by as much as 10%. "That means there is an enormous risk ahead. In a democracy, dramatic change cannot be imposed from above or it will fail. It has to be led by a process of political engagement," he will say. "You only have to look at the scale of industrial unrest in Greece to see that it is impossible to reduce a public deficit quickly if you do not find a way to persuade people to go along with the process. "If we do not find a way to take the people of Britain with us on this difficult journey of deficit reduction, we will not be able to make the journey. We will instead follow Greece down the road to economic, political and social disruption. "If a government tries to ram through major change to public spending solely through the usual Westminster combination of machismo and threats from the whips, it will not only fail, it could find itself torn to pieces." SWISS football fans turned on brutal police on Saturday night, leaving seven cops injured. As usual, corporate media put the blame on the supporters, with the likes of Le Matin reporting that the FC Zurich supporters started throwing stones and lumps of concrete at the police and smashing shop windows, with the situation escalating to the point where the cops had to use rubber bullets. However, a comment from a fan on the 20 Minuten Online website tells a different story. He writes: "Everything was quiet until, without any warning, the police rushed at one fan and started firing rubber bullets. The FCZ fans then responded with the stones and concrete." The riot took place between the Brügglifeld stadium and Aarau station. FCZ had won their Super League match against Aarau 3-1 - not the circumstances in which fans are usually looking for any trouble. There were six arrests. 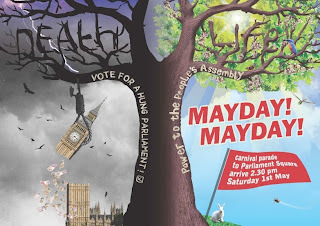 MAYDAY chaos looks set to return to the streets of London, England, in the run-up to the country's General Election. An Election Meltdown mass protest has been called by the same groups behind last year's anti-G20 protests during which newspaper vendor Ian Tomlinson was killed by the police. Says the event website: "On International Worker's Day, Saturday 1st May 2010, the Four Horsemen of the Apocalypse will take to the streets again at the head of four Mayday Carnival Parades. "All four Parades will converge on Parliament Square at 2:30pm, and the carcasses of the four party leaders will be hung, drawn and quartered, or guillotined in accordance with the wishes of the assembled multitudes in a Mayday Carnival. "The Carnival will set up a Direct Democracy Village to occupy the Square until the General Election likely to be on Thurs May 6. "A People's Assembly will convene on the green, where people can meet as equals to decide what we really want. "Can we oust the bankers from power? "Can we get rid of the corrupt politicians in their pay? "Can we guarantee everyone a job, a home, a future? "Can we establish government by the people, for the people, of the people? "Can we abolish all borders and be patriots for our planet? "Can we all live sustainably and stop climate chaos? "Can we make capitalism history? "DEATH TO THE OLD, CORRUPT ORDER – POWER TO THE PEOPLE'S ASSEMBLY!" RESISTANCE is fast approaching revolution in Greece as a huge swathe of the population rejects neo-liberalism. Today's strikes saw even some police officers, wearing their uniforms, join the protests against the austerity measures imposed by the government on the orders of the EU and IMF. 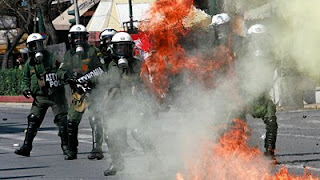 Reports AFB: "Greek police battled demonstrators on Thursday as the country ground to a halt in the latest protest strike against government austerity measures aiming to end a crippling debt crisis. "Violence erupted in the capital with riot police firing tear gas at hooded youths who hurled firebombs and vandalised stores near parliament. "There were clashes in other parts of Athens where masked youths threw firebombs and stones at police and burned a car, before security forces fired back more tear gas. "Youths from a 300-strong anarchist group attacked police and vandalised a dozen stores in the area near the Athens Polytechnic, police said. "Small groups smash store windows in the main Omonia Square after the end of two demonstrations that drew many thousand participants. Five people were detained, a police source said. "In the northern city of Thessaloniki, protesters threw eggs and yoghurt cartons stolen from a supermarket at a government building, police said. "Unions called out more than one million people on strike in the latest challenge to draconian spending cuts by the Socialist government aiming to reduce the public deficit of 12.7 percent of output and a debt mountain of nearly 300 billion euros (410 billion dollars). "The stoppage crippled public transport and closed schools, hospitals and government offices in the capital. "The strikers shouted: 'Europe must change or it will sink' and 'War with capitalists, that's the response of the workers'. "No buses or trams ran and only one underground train line was operational in the capital. Health centres treated only emergencies. "Air traffic controllers walked off the job at midnight and ships were anchored as port workers joined the strike call by two powerful unions. "The national news agency ANA stopped its tickers and newspaper staff stopped work. Tax collectors have been on strike all this week. "Christos Fotopoulos, head of a police union, told AFP officers were taking part in rallies in uniform as 'the governmental measures are painful and they erase bonuses which account for 50 percent of our salary'." 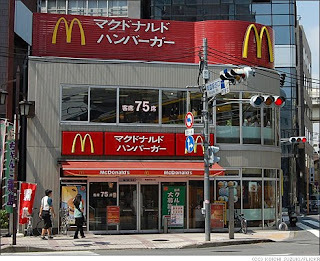 THE US empire's hold on Japan has been significantly weakened by shock revelations this week. Reports The Australian: "Japanese governments lied to their people for more than 30 years about a 'tacit' secret agreement allowing nuclear-armed US vessels to use their ports, a special Foreign Ministry panel reported yesterday. "The tacit agreement, an undisclosed adjunct to the 1960 revision of the US-Japan Security Treaty, allowed breaches of Japan's Three Non-Nuclear Principles until 1991 when Washington officially halted deployment of tactical nuclear weapons on warships. "Successive conservative governments 'offered dishonest explanations, including lies from beginning to end', the panel convened by Foreign Minister Katsuya Okada reported yesterday. 'This attitude should not have been allowed under the principle of democracy,' Mr Okada said." US financial attack on Greece and Euro? THE global bankers today turned the screws even harder on the people of Greece, bringing the country closer to revolution - or brutal dictatorship. The Greek state agreed to yet more 'austerity' measures, as demanded by the international puppet-masters, to be imposed on the population, despite massive opposition. And at the same time it was claimed that the failure of the Greek economy could be the result of a deliberate attack on the Euro by American bankers. Says a report on RT: "With Greece reportedly set to announce stringent measures to offset its crippling financial crisis, are US financial forces working behind scenes against the euro? "According to a recent report in The Wall Street Journal, the US Justice Department has launched an investigation into whether hedge funds – which include SAC Capital Advisors LP, Greenlight Capital Inc., Soros Fund Management LLC and Paulson and Co – banded together to drive down the value of euro. "The Wall Street Journal article reported a precipitous rise in large 'short' positions being taken against the euro in recent weeks by the major hedge funds, who were said to have gathered behind closed doors to discuss their strategy. 'It is an attempt to create a new world monetary crisis. It is economic warfare to defend the dollar by attacking Greece and through Greece attacking the euro,' journalist Webster Tarpley told RT. "Investigators may consider whether such information sharing should be considered “collusion,” the Journal suggested. 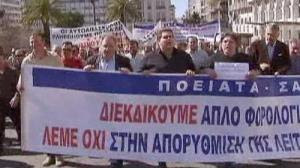 "In the meantime, crowds of people have taken to the streets in Athens to protest against job losses and salary cuts." 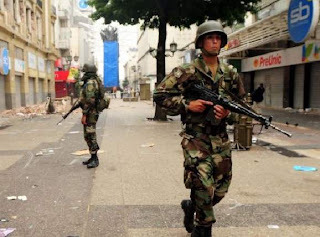 THE ARMY is on the streets of Chile, and curfews imposed, in the aftermath of the massive earthquake that hit the South American country. The global corporate media is predictably toeing the line that their role is to "help" stop violence, but reports from the spot tell a different story. Santiago Indymedia points out, for instance, that all the supermarkets have remained shut, which is why people have been forced to help themselves to basic foodstuffs to feed their families - the "looting" described in the media. "Armed soldiers are patrolling the streets to help quell unrest and protect shops and banks" states The Guardian's report, rather giving the game away. This is another fine example of how the state always exists to protect property and privilege from the very population it claims to represent. Their welfare is of little consequence, as many Chileans have discovered the hard way in the last few days.